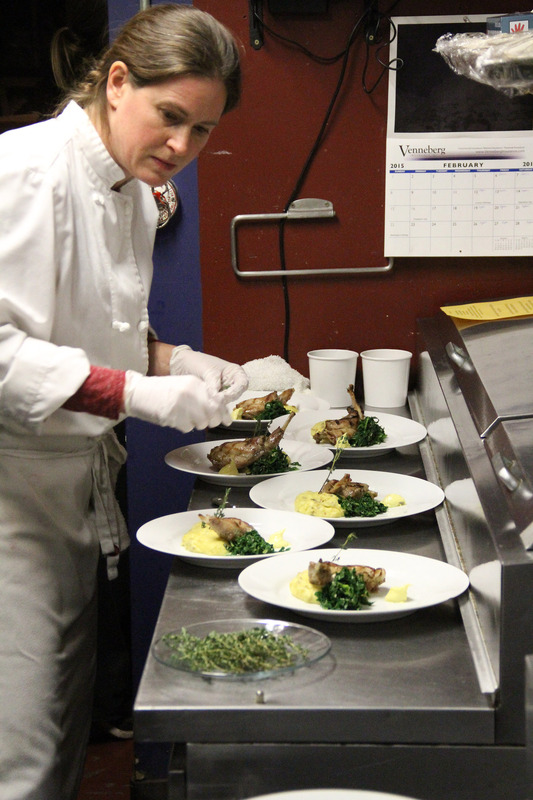 Ludvig’s Bistro owner and executive chef Colette Nelson garnishes rabbit thighs with beach asparagus for a special local foods dinner she prepared as a February 2015 fundraiser for The Sawmill Farm. Next week, Sitka chef Colette Nelson will carry a special cargo in a violin case when she heads to New Orleans to represent Alaska in the Great American Seafood Cook-Off. Nelson, the owner and executive chef of Ludvig’s Bistro, will be carrying a frozen white king salmon in her violin case, the fish she plans to cook for the annual contest. The white king salmon was caught July 4 by troller Lou Barr of Auke Bay (who Nelson used to commercial fish with) and flash-frozen earlier this month. Nelson doesn’t plan to let the fish out of her control as she travels to New Orleans. “I’m going to hold that fish with me. I’m not going to let somebody put it under the plane because that’s our gold,” Nelson told the Juneau Empire in a July 25 article. On Aug. 6, Nelson will compete against chefs from Alabama, Arkansas, Florida, Louisiana, Massachusetts, Mississippi, Oregon, South Carolina, Texas and Utah. 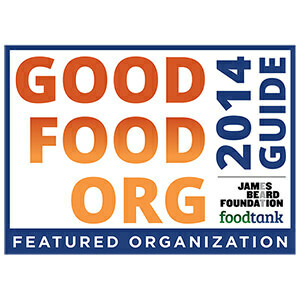 The Great American Seafood Cook-Off is sponsored by the Louisiana Seafood Promotion and Marketing Board, and focuses on domestic, sustainable seafood and local ingredients. Nelson, who will compete with her sous chef Josh Miller, hopes to become the second straight Alaska chef to win the Best Seafood Chef title, joining Beau Schooler and Travis Hotch of The Rookery Café in Juneau who won last year with a sockeye salmon dish. Nelson was nominated for this year’s contest by Gov. Bill Walker. Nelson hasn’t said exactly how she plans to cook her white king salmon, but did hint that it will have a Spanish theme in keeping with her restaurant’s use of Mediterranean flavors. The dish will feature a pan-seared fillet of the fish that includes the belly meat. Nelson opened Ludvig’s Bistro in 2002, and has been a big supporter of local foods in Sitka (including using her restaurant to host fundraisers for the Sitka Local Foods Network and developing recipes and lesson plans for Sitka’s Fish To Schools lunch program coordinated by the Sitka Conservation Society). She grew up in Oregon and attended the University of Washington, where she trained under Seattle restauranteur Susan Kaufman, who also had a food cart and restaurants in Juneau. She moved to Alaska in 1998, working as chef for Kingfisher Charters & Lodge in Sitka before opening her restaurant. During the competition, Nelson and sous chef Josh Miller will have an hour to prepare six plates for the judges and one for photos. Nelson and Miller have been practicing, and now feel they’re ready. 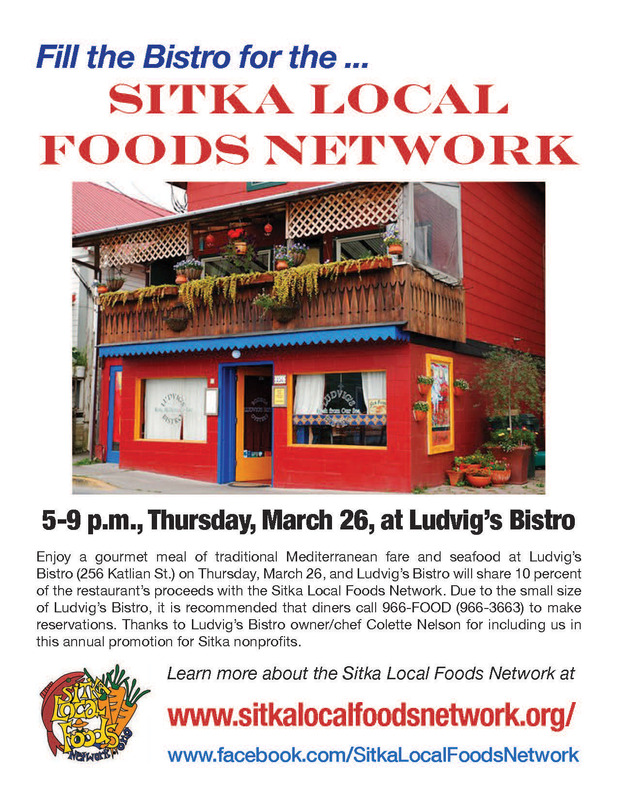 The Sitka Local Foods Network will benefit from a “Fill the Bistro” fundraiser on Thursday, March 26, at Ludvig’s Bistro (256 Katlian St.). 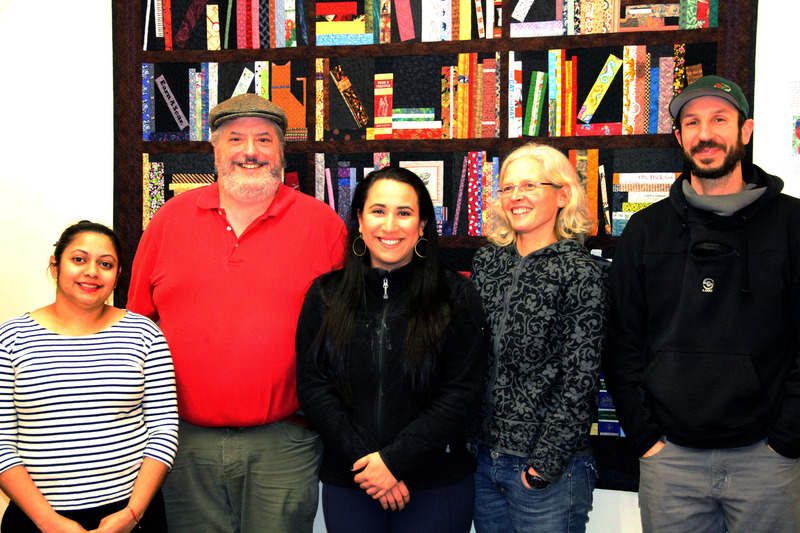 Fill the Bistro is a series of community fundraisers held on Thursdays this spring for local organizations working in Sitka (in previous years they were on Wednesdays). Ludvig’s Bistro is open from 5-9 p.m. serving traditional Mediterranean fare and seafood. 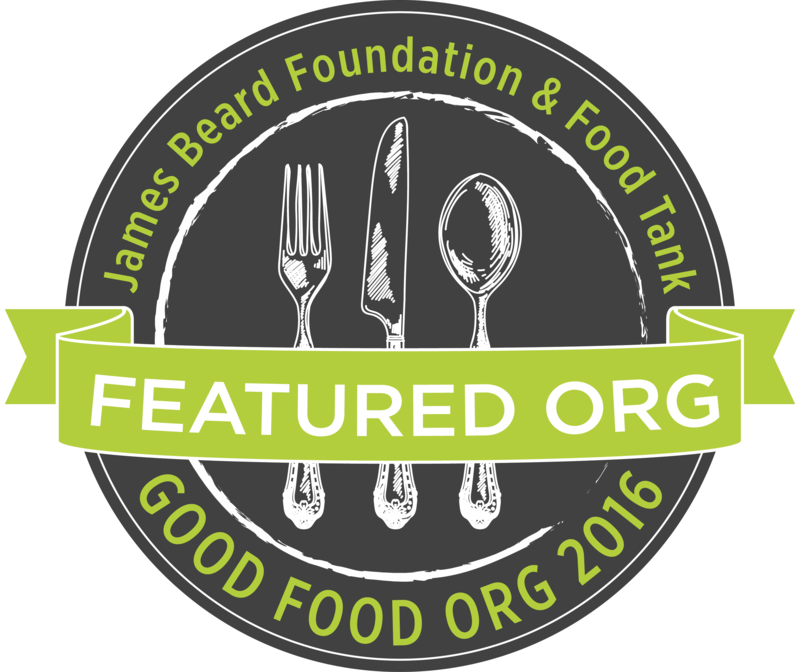 The beneficiary organization for each Thursday’s Fill the Bistro event receives 10 percent of the night’s sales. Due to the small size of Ludvig’s Bistro, it is recommended that diners call 966-FOOD (966-3663) to make reservations. If the restaurant is closed, there is an answering machine to take reservations (please call in and don’t email the restaurant). 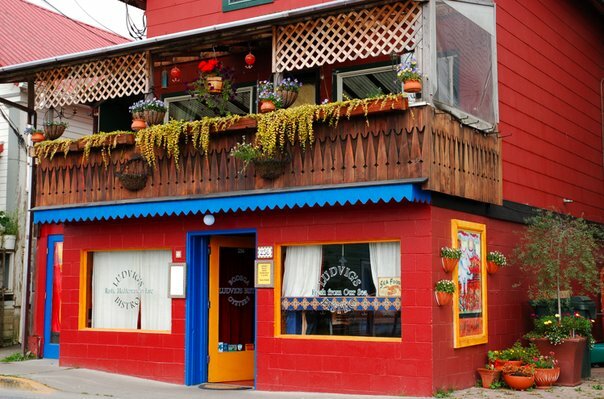 The Sitka Local Foods Network thanks Ludvig’s Bistro owner/chef Colette Nelson for including us in this year’s series of Fill the Bistro fundraisers. Locally raised rabbit and goat meat from Ketchikan were the highlights of a fundraising farm-to-table dinner for the Sawmill Farm on Jan. 31 at Ludvig’s Bistro. In an effort to raise seed money for her Sawmill Farm project, Bobbi Daniels worked with Ludvig’s Bistro owner/chef Colette Nelson to create a five-course meal featuring locally sourced food from Sitka and Southeast Alaska. Tickets were $75 per plate for the function. Bobbi already is raising rabbits in town, and she said goats also do well in Sitka. Bobbi hopes to find a large enough lot so she can grow enough rabbits to supply local stores with meat. She said rabbit meat is one of the cleanest meats as far as toxins, and it only takes 10 weeks to raise a rabbit to harvest size. The Sawmill Farm was one of 12 semifinalists in the recent Path to Prosperity economic development contest sponsored by the Nature Conservancy and Haa Aaní Community Development Fund, and now is competing for the people’s choice award. Russian pavlova with huckleberry, rhubarb, currants and Sitka rose sugar. A variety of gardens and farms provided the food used for the meal. The Sawmill Farm supplied the rabbits and wheat berries, Sivertsen Farm in Ketchikan provided the goat, Lori Adams of Down-To-Earth U-Pick Garden supplied winter kale, Sara Taranof provided farm eggs, Linda Walker provided garlic, huckleberries, rhubarb and currants, and Florence Welsh of Forget-Me-Not Garden supplied white satin and orange carrots, heirloom tomatoes, red rose potatoes, Inca Bella potatoes, leeks, zucchini, beets, raspberry preserves and beach asparagus. 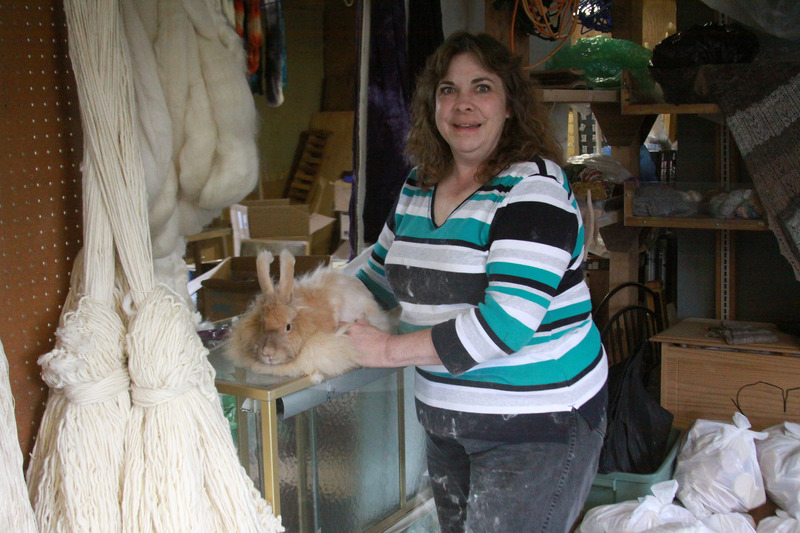 Bobbi Daniels of The Sawmill Farm grooms a rabbit at The Sawmill Farm Feed and Fiber store on Katlian Street. Bobbi raises some rabbits for their hair (to make yarn) and others for meat. 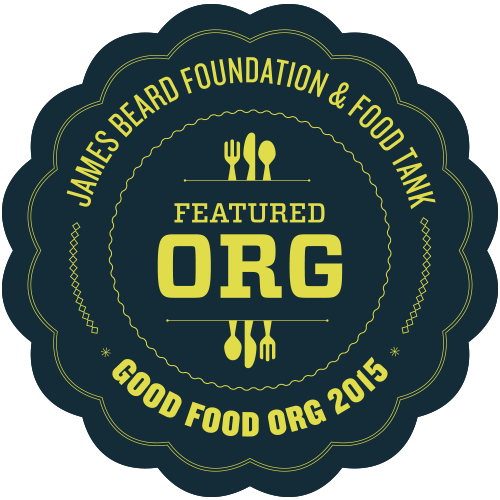 Want to see and taste some of the local food possibilities in Sitka? 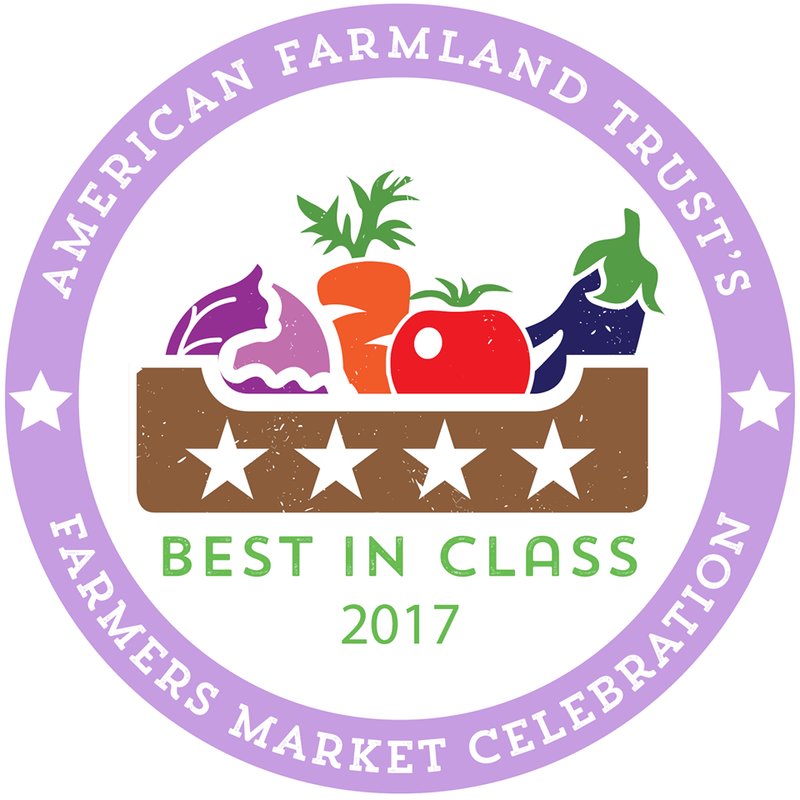 The Sawmill Farm will host a Farm-to-Table Dinner with two seatings (at 5:30 p.m. and 7:30 p.m.) on Saturday, Jan. 31, at Ludvig’s Bistro (256 Katlian St.). Ludvig’s Bistro owner/chef Colette Nelson will be preparing the meals. Tickets are $75 each, and seating is limited with only 25 people per session. To make reservations, call Bobbi at 738-4481 or send a message to The Sawmill Farm’s Facebook page. The Sawmill Farm is bringing commercial agriculture to Sitka, and supporting Sitkans who are maintaining their own backyard operations. The farm will raise rabbits, chickens, goats, pigs, and more. It also has a feed store. 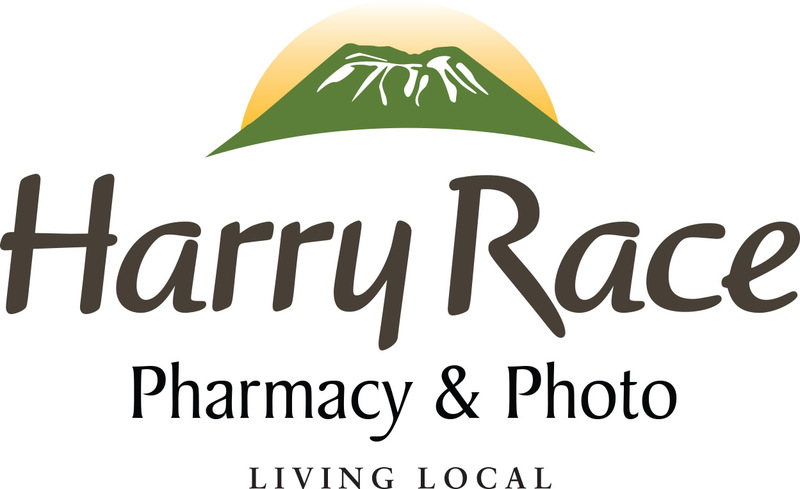 The Sawmill Farm is one of 12 semifinalists for fledgling Southeast Alaska businesses in the Path to Prosperity contest sponsored by The Nature Conservancy and Haa Aaní LLC (the economic development arm of Sealaska). 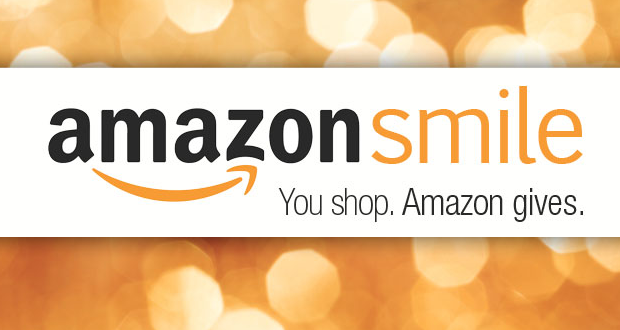 The three winners, which will be announced in late January, will each receive $40,000 to help their businesses grow. 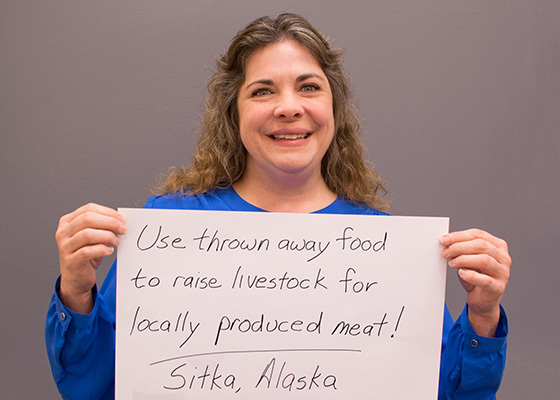 “The Sawmill Farm is working to produce locally and humanely raised, hormone and antibiotic free livestock and poultry in Sitka using the cast-off food from the grocery stores and restaurants,” Bobbi said. 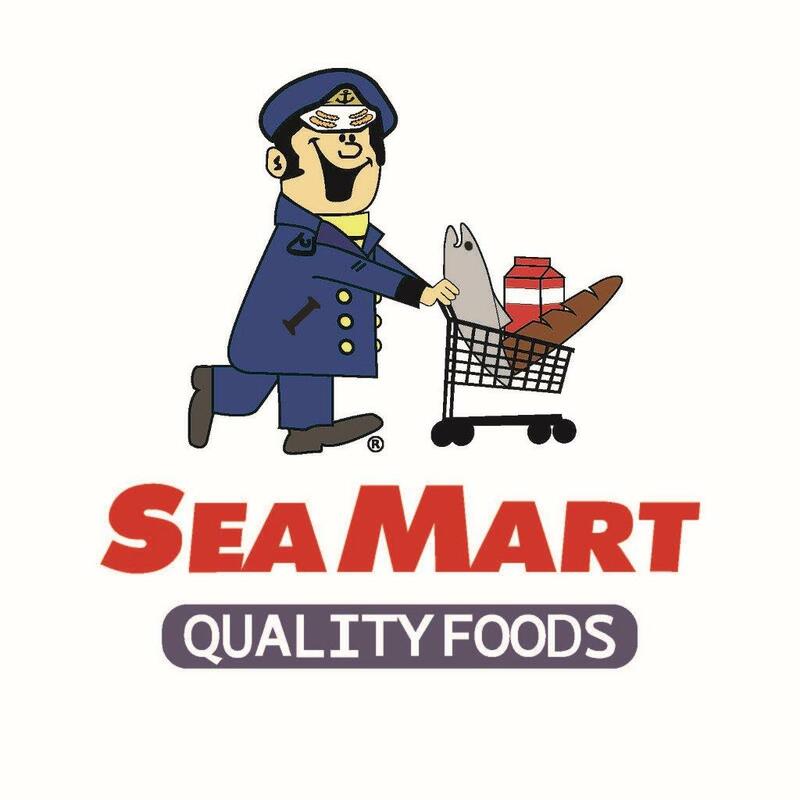 “Currently the city is paying highest disposal rate that is charged to have this food barged as ‘non-recyclable garbage’ to a landfill in eastern Washington. The bottom line is Sitka pays out a fortune to barge perfect pig food to Washington and then we barge corporate factory farmed pork chops back to Sitka. 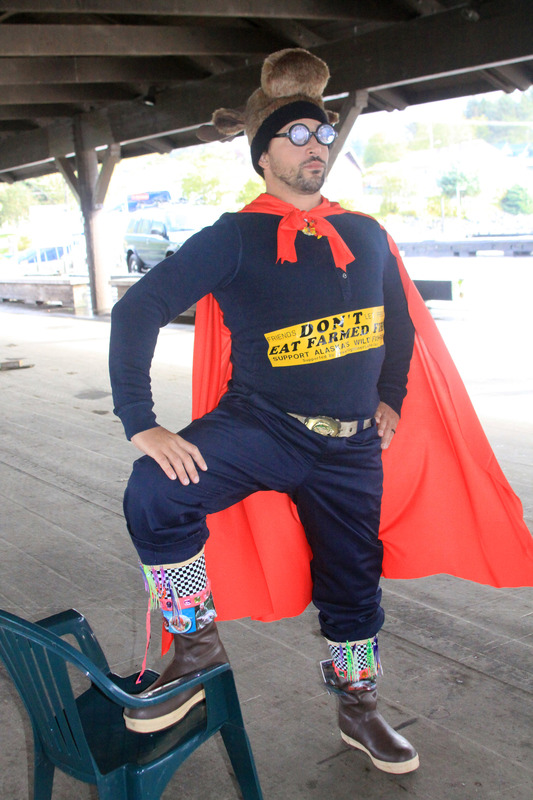 The Sawmill Farm wants to stop the insanity, keep that food and money local, create jobs and produce healthy meat. The Sawmill Farm Feed and Fiber store opened in August 2014, on Katlian Street, across from the Alaska Native Brotherhood Founders Hall. A photo slideshow of The Sawmill Farm Feed and Fiber Store is posted below. 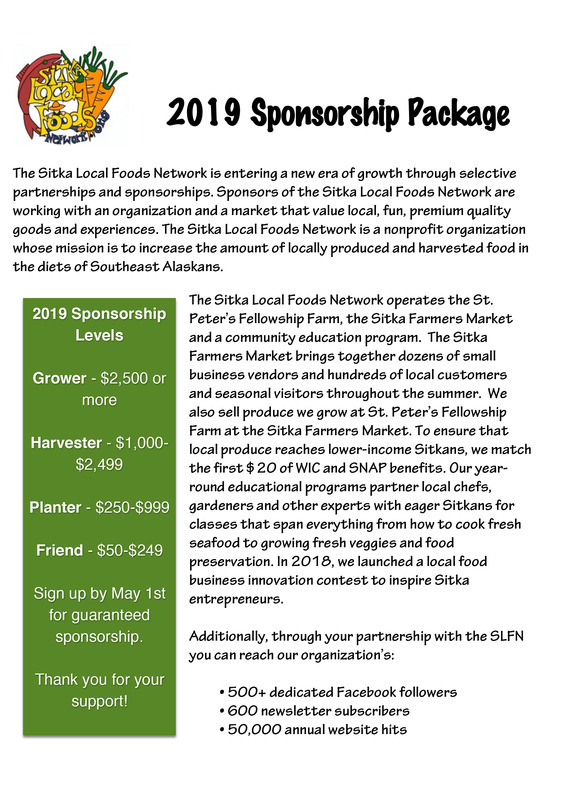 The Sitka Local Foods Network will benefit from a “Fill the Bistro” fundraiser on Wednesday, March 26, at Ludvig’s Bistro (256 Katlian St.). 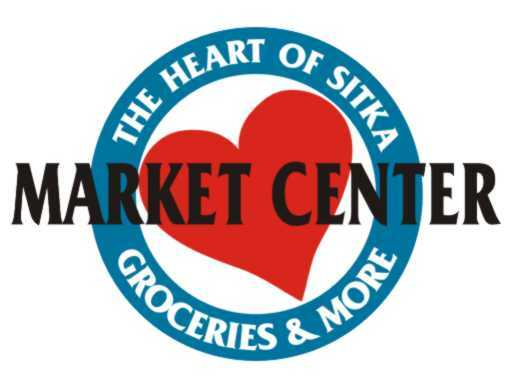 Fill the Bistro is a series of community fundraisers held on Wednesdays each spring for local organizations working in Sitka. Ludvig’s Bistro is open from 5-9 p.m. serving traditional Mediterranean fare and seafood. 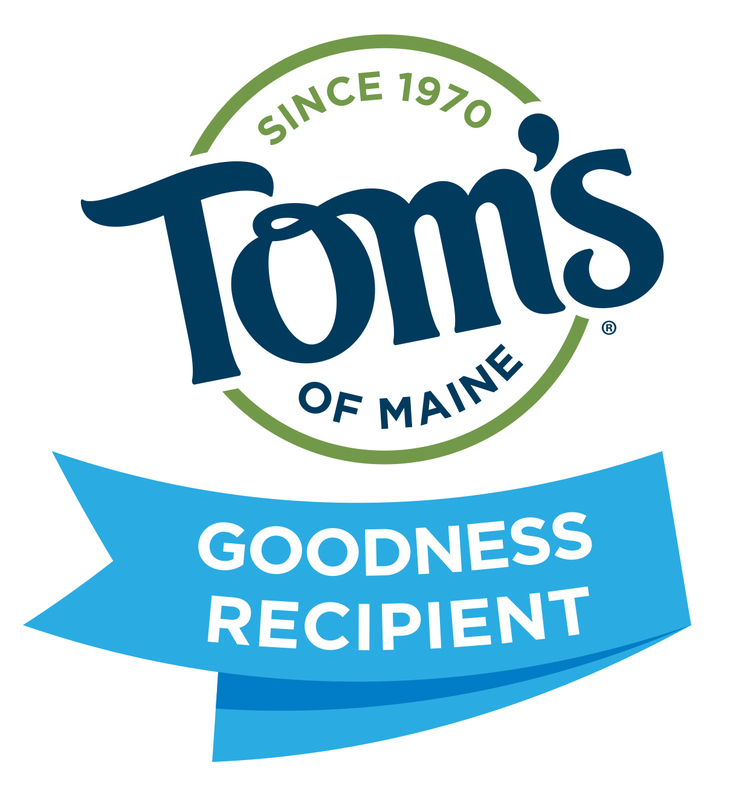 The beneficiary organization for each Wednesday’s Fill the Bistro event receives 10 percent of the night’s sales. Due to the small size of Ludvig’s Bistro, it is recommended that diners call 966-FOOD (966-3663) to make reservations. If the restaurant is closed, there is an answering machine to take reservations (please call in and don’t email the restaurant). Ludvig’s Bistro’s companion restaurant Rio’s is not open on March 26, so is not included in the promotion. 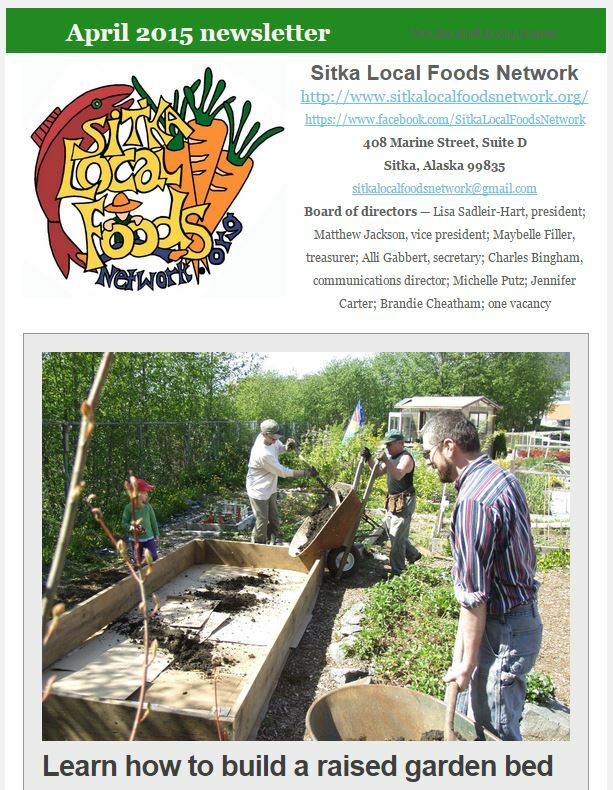 The Sitka Local Foods Network thanks Ludvig’s Bistro owner/chef Colette Nelson for including us in this year’s series of Fill the Bistro fundraisers.